Prosecutors seek forfeiture of $23 mln assets of former Mari El Republic governor | Russian Legal Information Agency (RAPSI). 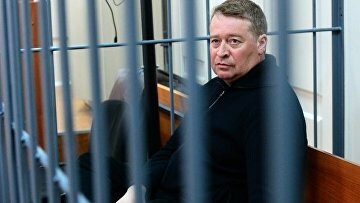 MOSCOW, February 12 (RAPSI) – Prosecutors have filed a lawsuit demanding to forfeit assets worth over 1.5 billion rubles ($23 million) belonging to ex-governor of Russia’s Mari El Republic Leonid Markelov charged with taking bribes, a statement released on the website of the Prosecutor General’s Office reads. According to prosecutors, the former official has failed to provide information on a source of funds he had paid for property. The assets to be forfeited include 120 real estate items, 16 cars, luxury wrist watch, 8.5 million rubles, $224,000 and 660,000 euros, the statement reads. Investigators believe that Markelov has received a 235-million-ruble bribe (about $4 million) from the founder of Akashevskaya factory Nikolay Krivash for patronage and assistance in the property payment of funds provided by the state support for development of the agricultural complex. The bribe has been allegedly given through Kozhanova. The woman has been charged with mediation in bribery and placed in detention as well. Markelov is also charged with illegal purchase and possession of ammunition. The former official pleads not guilty.